Native support of JST XH balance connectors allows direct connection of 1s-8s LiPo/LiHV Batteries without requiring any adapters. Also supports Revolectrix SPA and MPA Safe Parallel Adapters; the industry's safest methods for parallel charging multiple, same-cell-count packs. 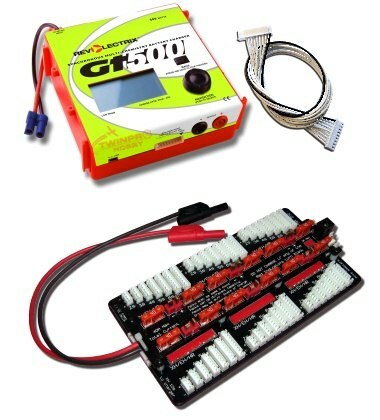 These items are peripheral products, available separately or as part of Combo packages, not included as a part of the basic GT500 unit. Initiate charge, discharge, store, monitor, and multiple cycles at the GT500. The unit comes equipped with basic presets for all battery chemistries currently available as well as 28 EMPTY user preset positions. During the course of operation, any changes that are made at the charger may be named and saved ("SAVE AS") or saved over ("SAVE") to the user presets bank. The process is analogous to opening a document in a PC application, making changes, and then using the "Save" or "Save As" menu options from the PC application to store the unique setup parameters chosen during the course of using the charger for its intended purpose; charging and managing your batteries. Best of all, everything happens at the charger, which makes it ideal for taking it on the road. Environmentally friendly, regenerative discharge capability of up to 500W. Unlike traditional methods of discharge, which deplete the output battery's energy in the form of heat across a transistor, regenerative discharge takes most of that energy and puts it back into the input battery. In other words, when you discharge your LiPo for storage, you will be re-charging your Lead Acid input battery. The total amount of power that you can achieve is limited only by the amount of current that your input battery can accept, or 500W, whichever is lower. 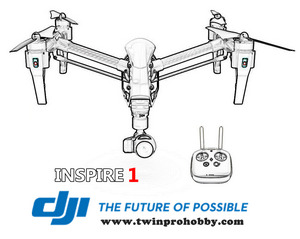 GT500 is also equipped with a traditional, 50W internal discharge capability which is non-regenerative. Intuitive Navigation Wheel with inclusive push button SELECT/ENTER, plus a BACK button makes Navigating menus and making selections a joy! Programmable options allow speaker ON/OFF or volume, selectable completion notification, information scrolling, Logo display duration at power up and Navigation Wheel direction control.